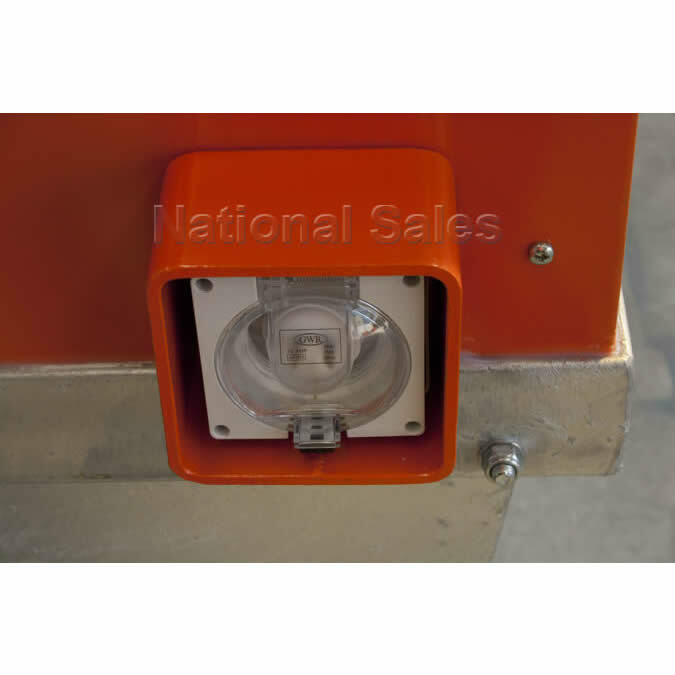 The waterproof enclosure allows outside placement and is fitted standard with a tamper proof locking bracket. 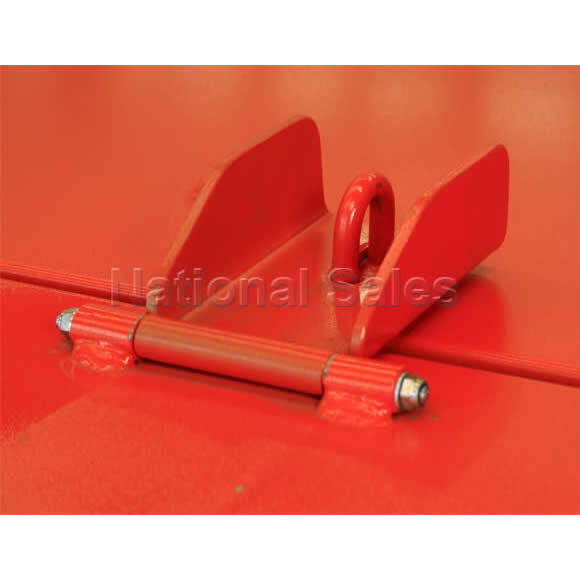 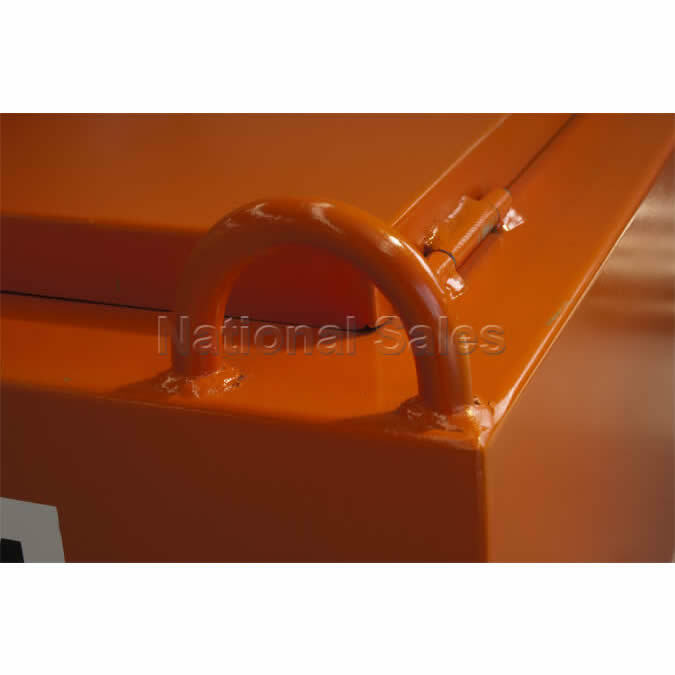 The enclosure can be easily transported at any time by forklift or crane using the crane lugs provided, while tie down points are provided for positive securing. 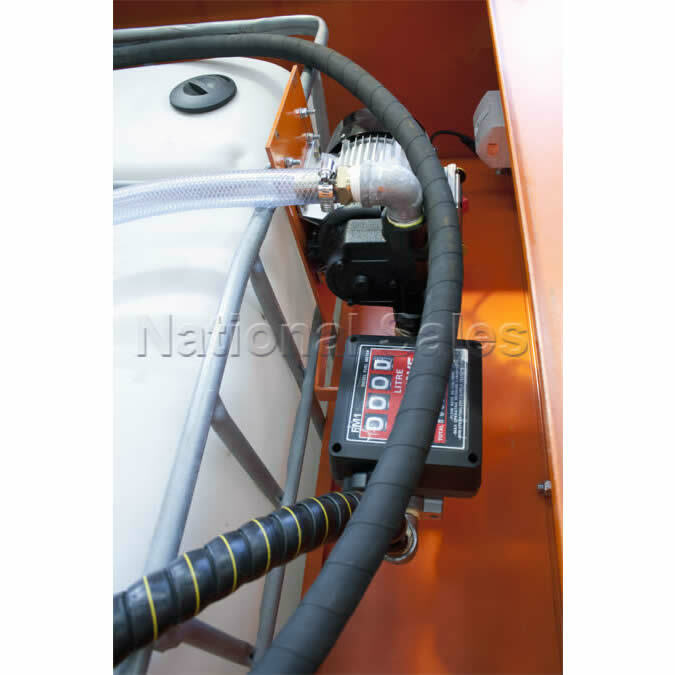 The fuel capacity of the self bunded tank is 1000 litres. 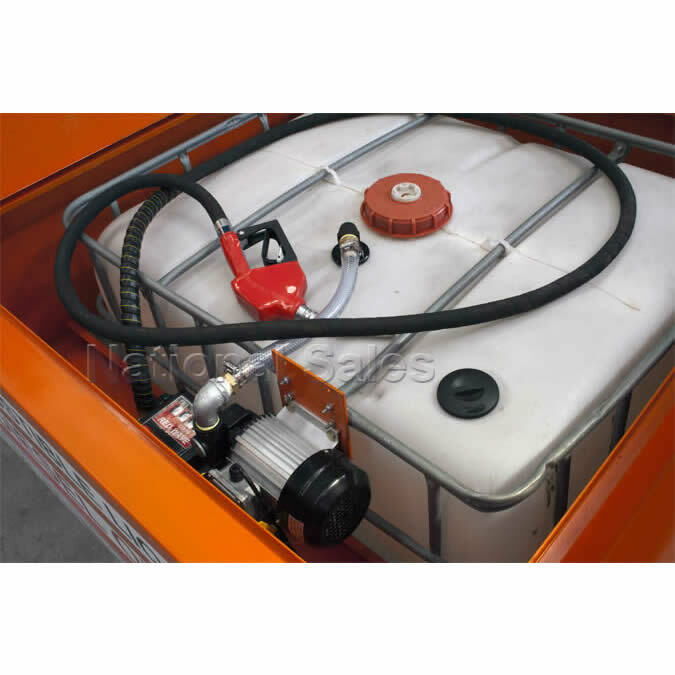 Additional features include a diesel transfer fuel pump with fuel usage meter, auto cut-off fuel filler nozzle and 4 metre long hose. 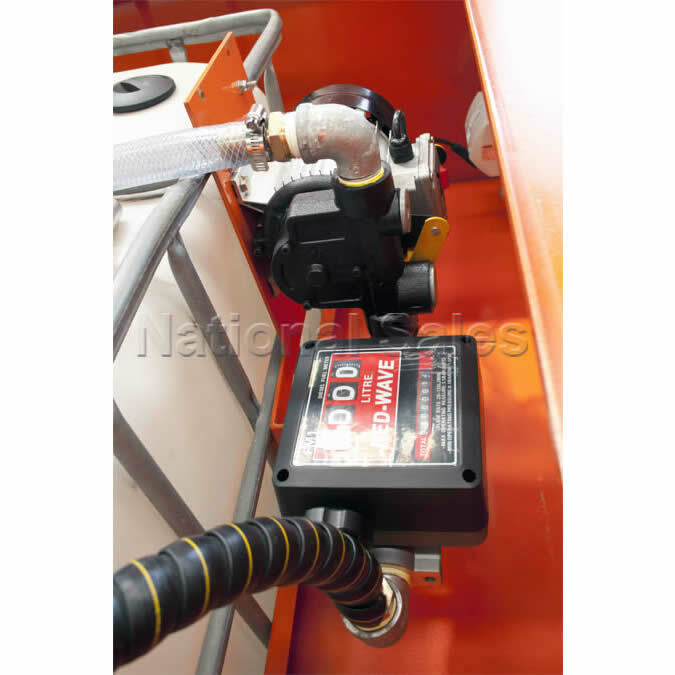 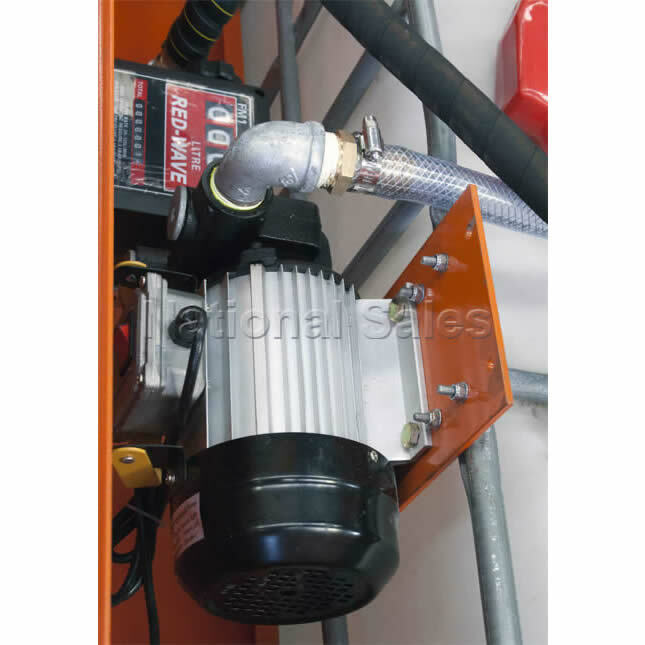 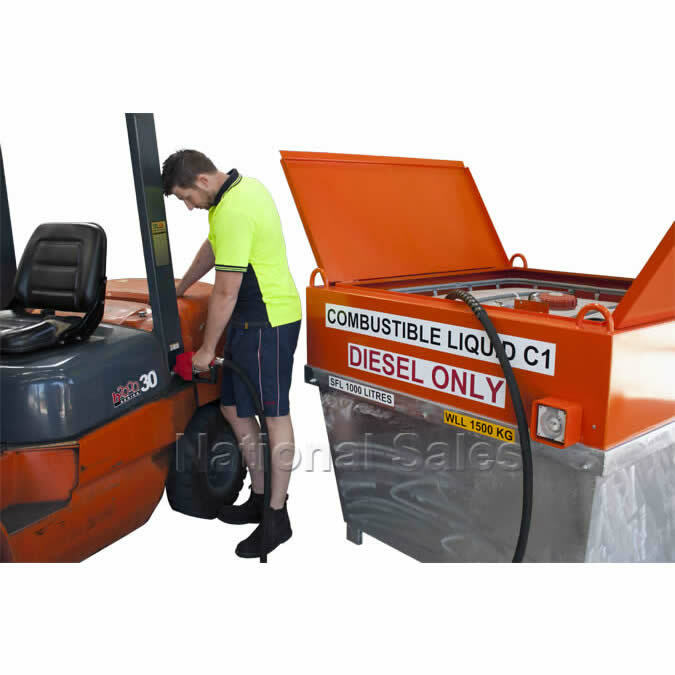 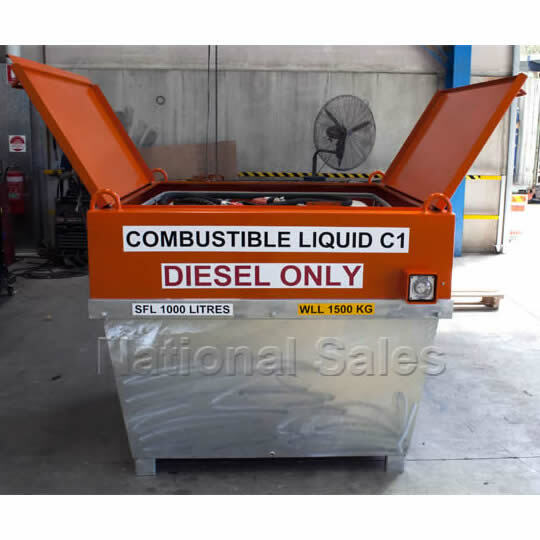 Easy access to the pump mechanism and internal tank is provided by the double lift up lids. The galvanised bund has a spill capacity of 1250 litres ensuring containment of all fluid should a spill occur. 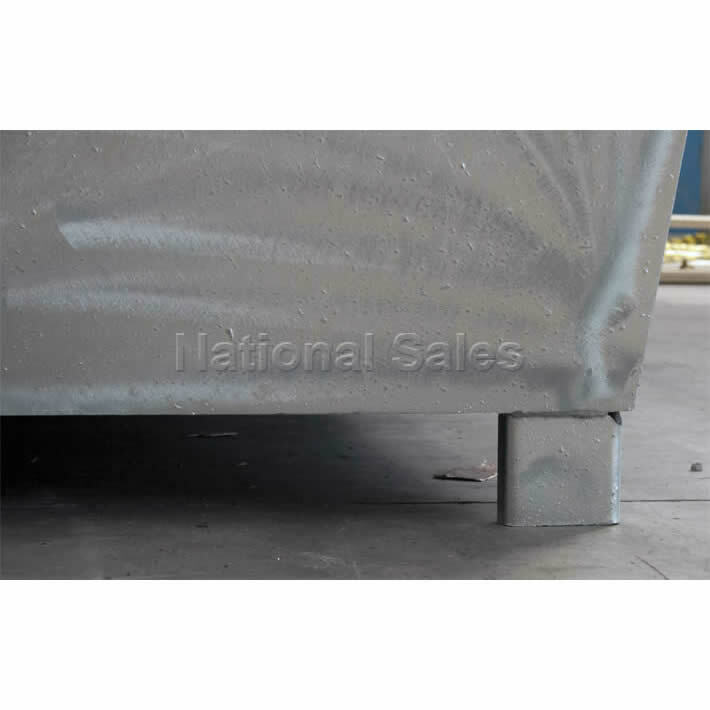 Heavy duty 3mm sheet construction of the outer enclosure virtually eliminates the chance of accidental penetration. 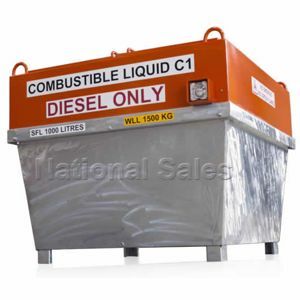 All signage provided as standard for “C1 COMBUSTIBLE LIQUID” storage. 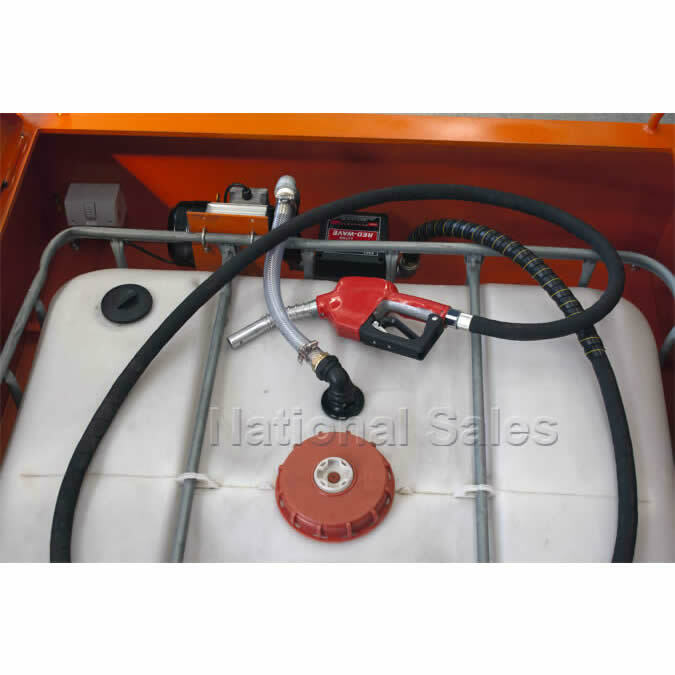 Also suitable for site storage and transport of lubricants and waste products.